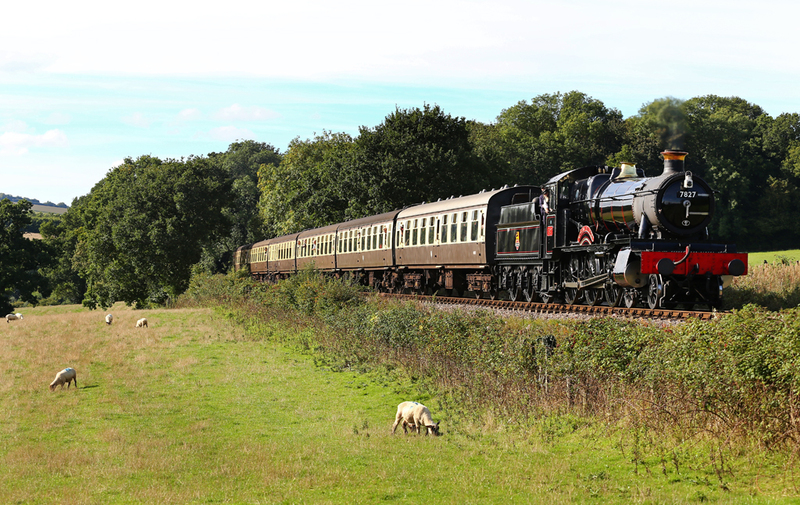 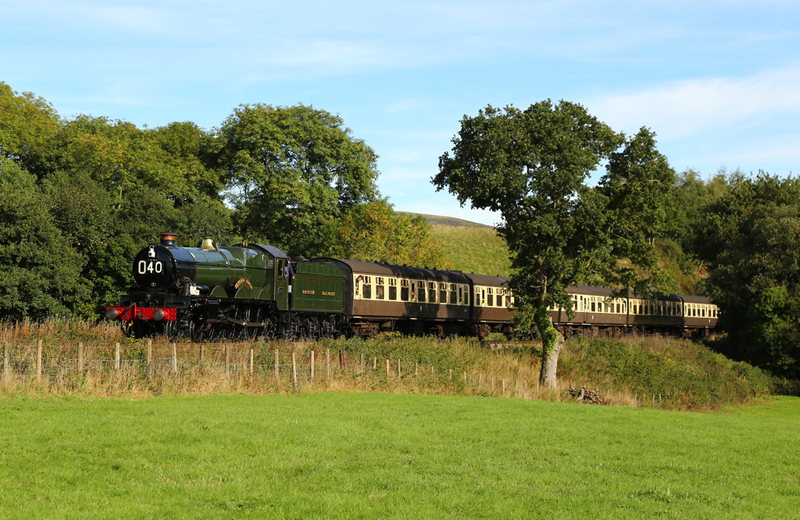 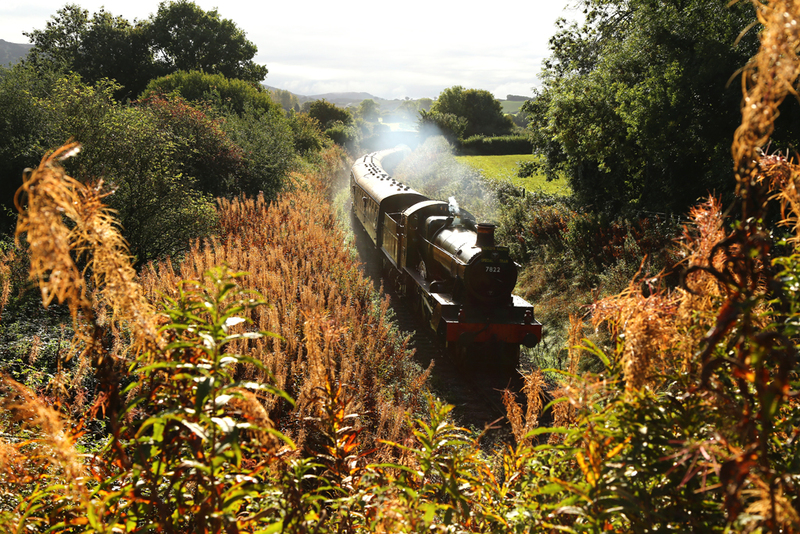 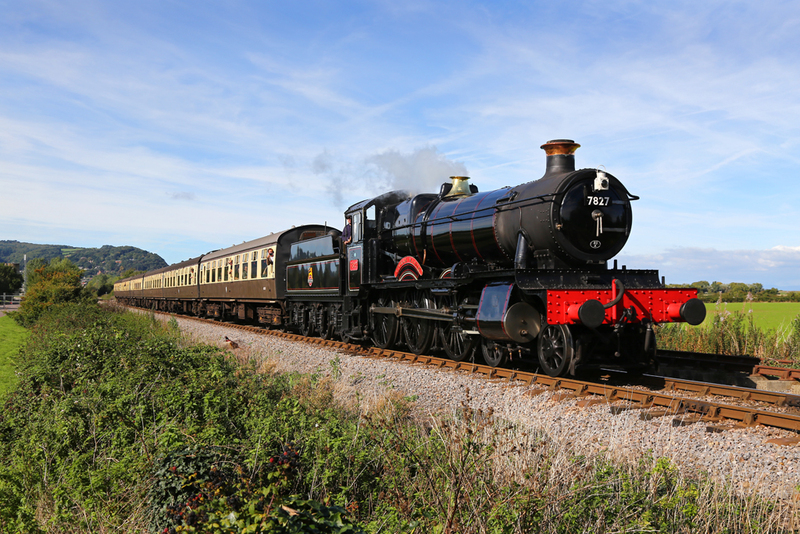 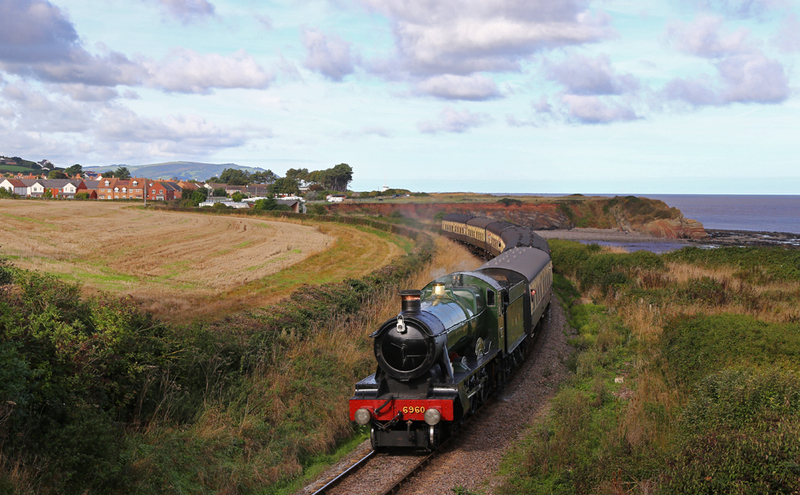 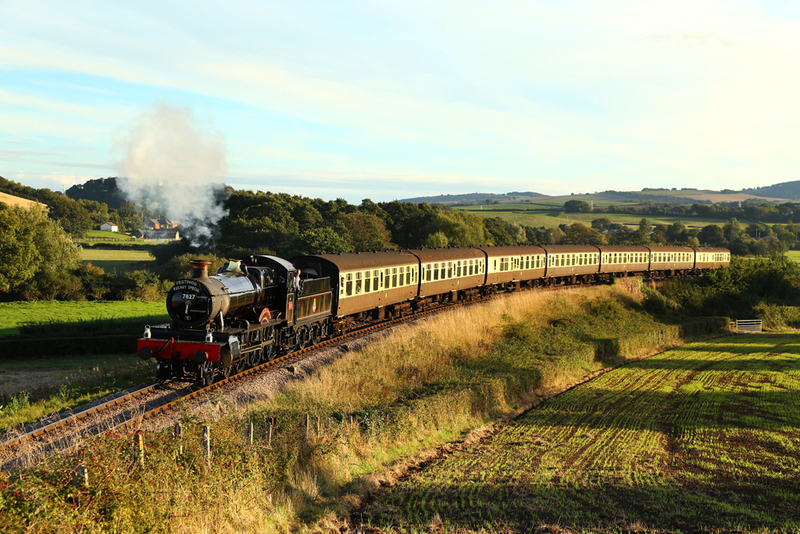 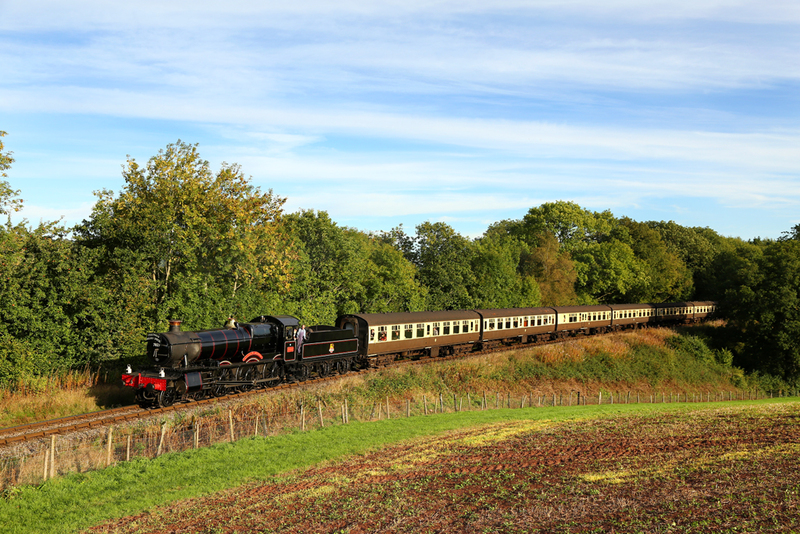 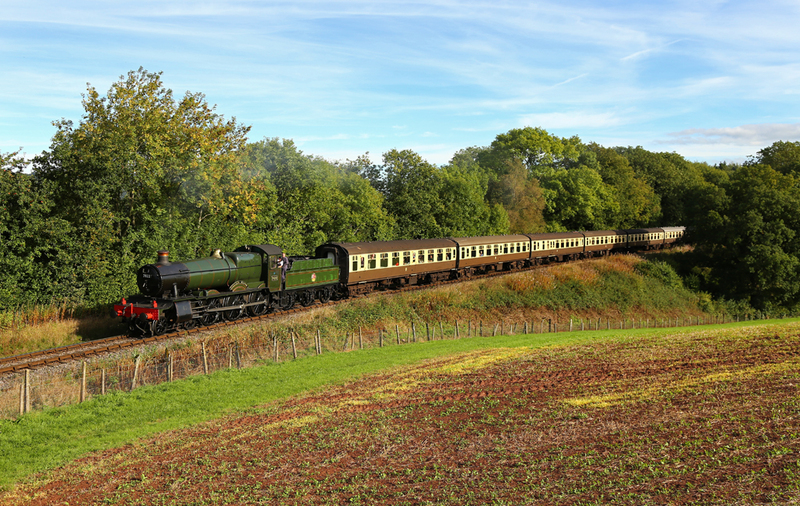 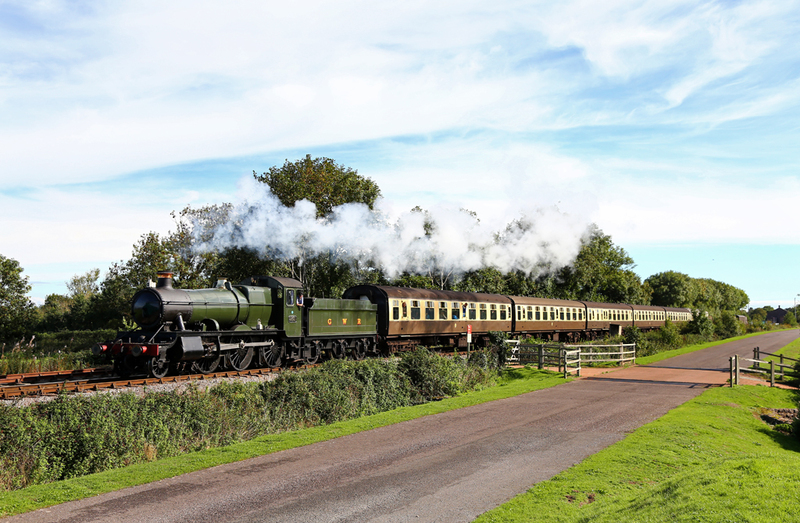 October 3rd - 6th 2013 provided four days of the West Somerset Railway's Autumn 'Cambrian Themed' Steam Gala. 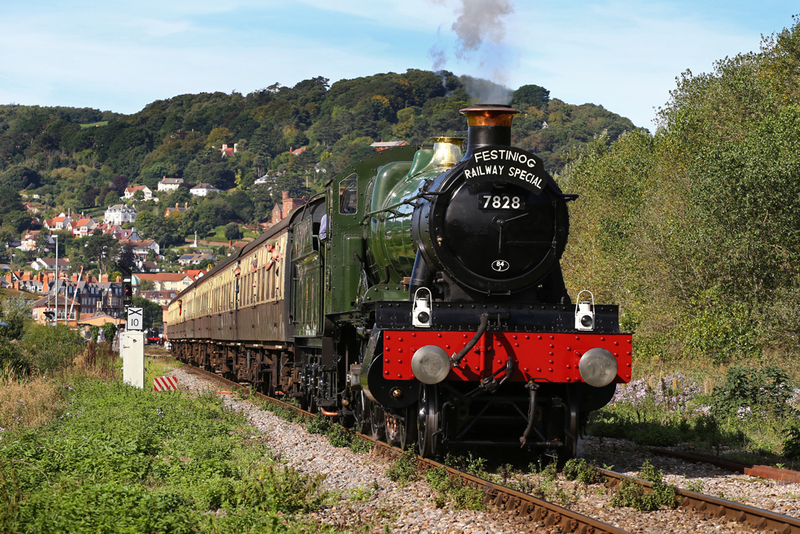 The event featured three visiting Manor locomotives, a class which were synonymous with the route, stations were also renamed to those befitting the line. 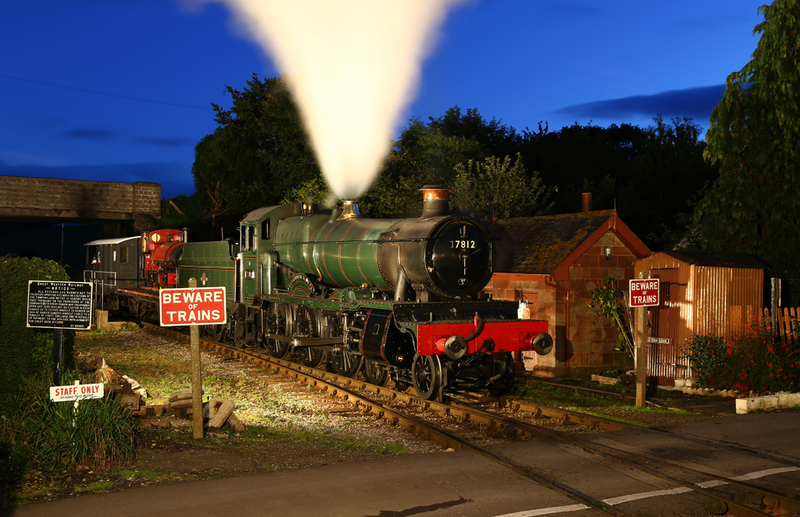 The event culminated with two night shoots, one on Friday night at Williton organised by David Williams and Neil Cave, and one on Saturday night at Minehead organised by Don Bishop. 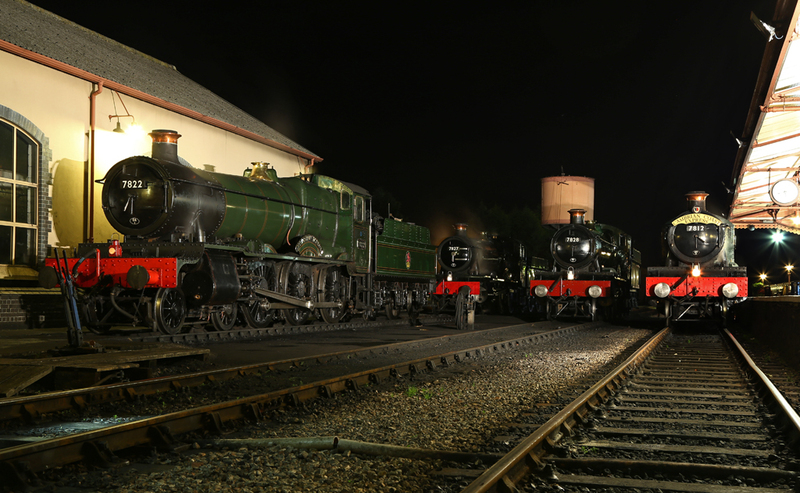 After a warm and sunny day during Saturday 5th, all four Manors ended their diagrams at Minehead. 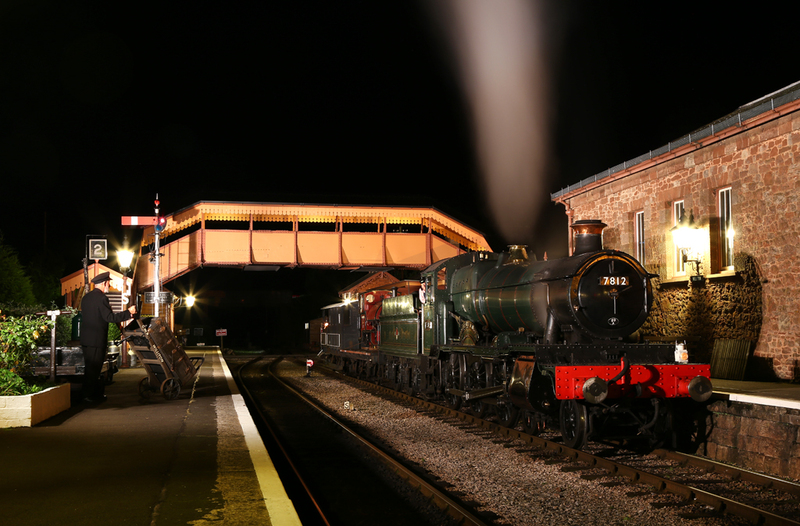 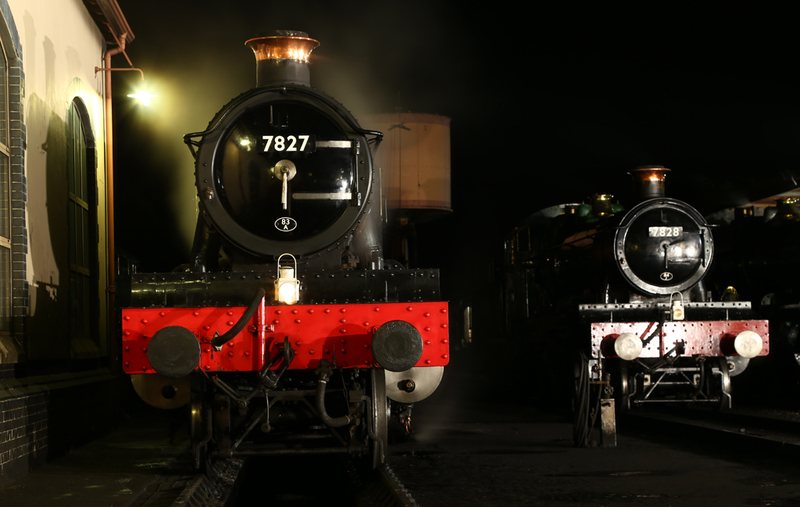 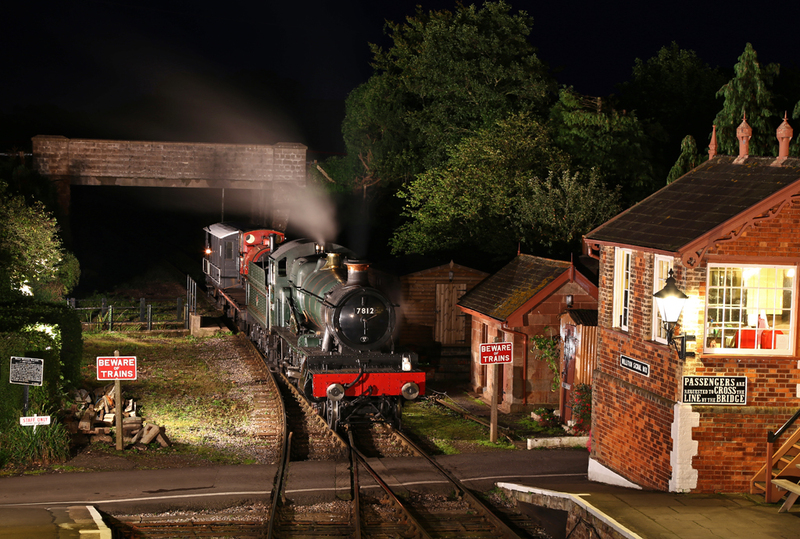 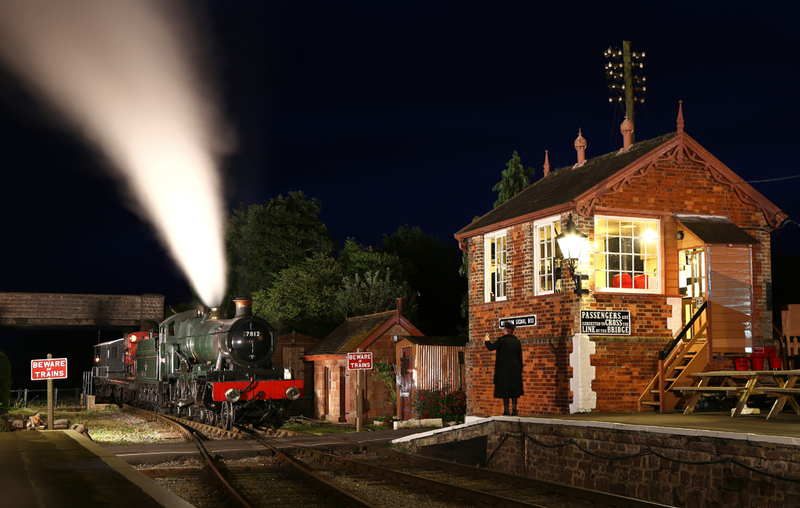 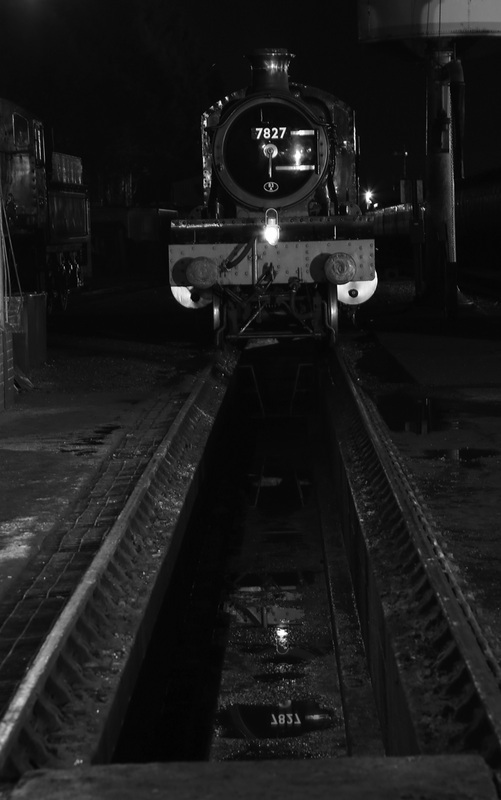 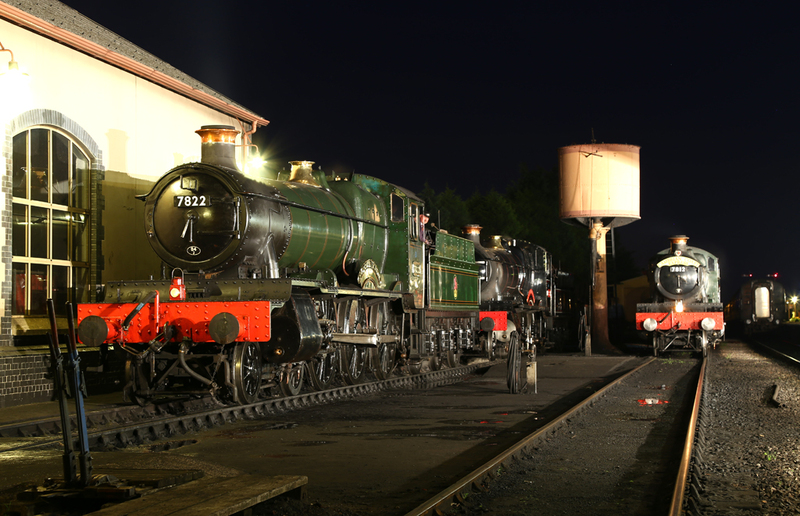 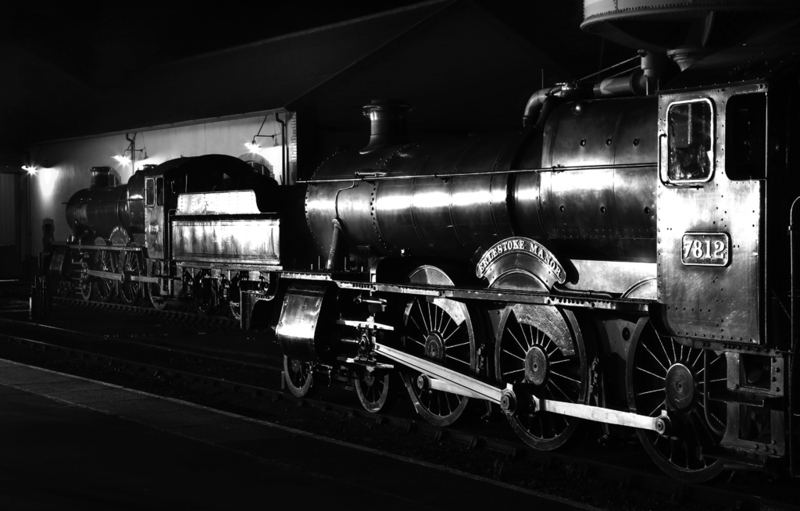 The Saturday evening photo shoot saw all four Manors posed for photographers on Minehead shed. 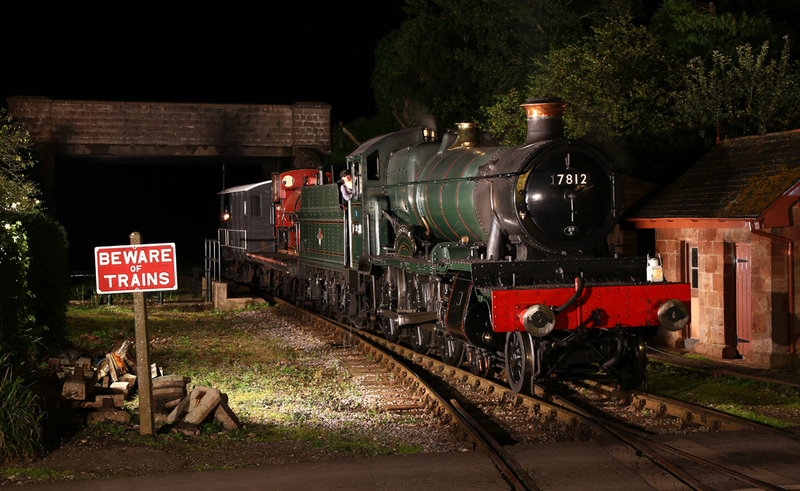 No.7822 'Foxcote Manor', No.7827 'Lydham Manor', No.7812 'Erlestoke Manor', and No.7828 'Odney Manor' looked suburb in the posed scenes. 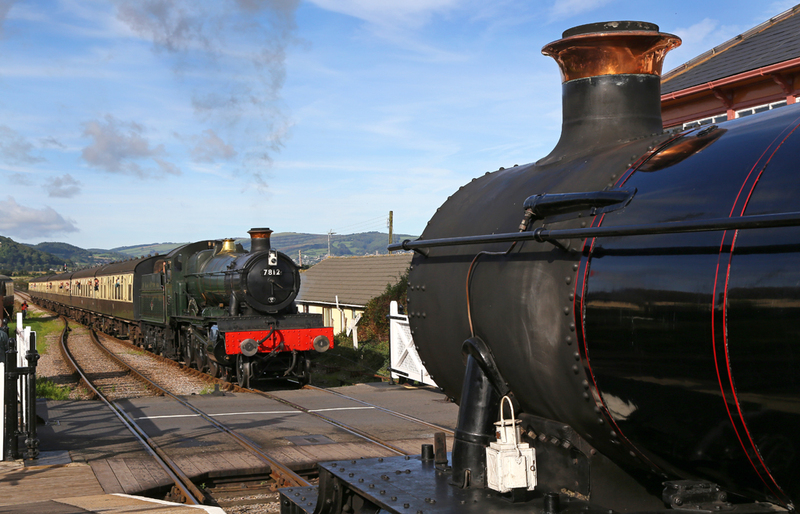 The event also featured BR Prairie Tank No.4160 and the WSR's own misfit steam locomotive No.9351.